CompactFlash cards are not very popular anymore as Secure Digital cards are much cheaper, smaller and more popular in smaller cameras. That being said, high-end Digital SLR cameras as well as full Professional SLR cameras use CompactFlash as it seems to be more reliable and is certainly faster when it comes to continuous write speeds. 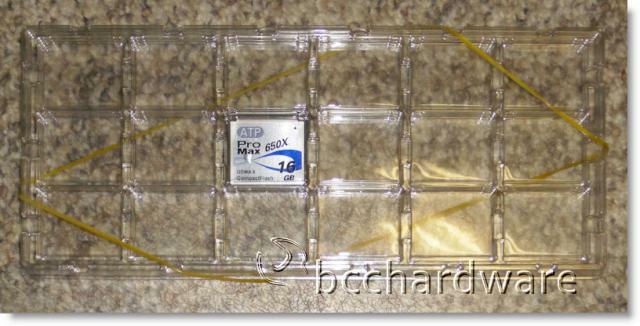 Today we are looking at a speedy 16GB card from ATP Electronics that claims up to 97.5MB/s write speeds thanks to its 650X rating. This card claims to be able to out-perform the SanDisk Extreme Pro card with its "mere" 600X write speed. 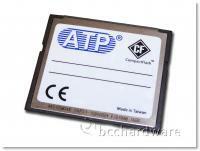 It will be interesting to see if this "cheap" card from ATP has what it takes to keep up to the big dog from SanDisk. Established in 1991, ATP has over 19 years of experience in the design, manufacturing, and support of high performance, highest quality DRAM modules and NAND flash storage products. ATP focuses in mission critical applications such as industrial/automation, telecom, medical, and enterprise computing where high levels of technical support/expertise, consistency of performance, and manufacturing quality are required. A certified Eco/Green partner of tier one OEMs, all ATP products are fully RoHS and China RoHS compliant. ATP System-In-Package (SIP) flash product manufacturing process is the backbone to our superior build quality and durability. The industry leading SIP process involves advanced wire bonding, stacking, and encapsulation stages which make ATP products more consistently durable and reliable with waterproof, extreme temperature durability. As I mentioned in a previous review, my interest in a fast Compact Flash card has been centered on me picking up a Nikon D300s DSLR. This camera uses both SD and CF media and allows the user to specify which picture format gets stored on each card. Normally I take pictures and save them as RAW (NEF) as well as JPG. I love the convenience of the Eye-Fi SD card for uploading my pictures to Flickr and to my computer and it is nice to have all the RAW files stored on a separate card. The problem is that each RAW image is well over 9MB and the camera takes up to 8 images per second with the battery grip. It doesn't take long to fill the buffer and start slowing down the camera. 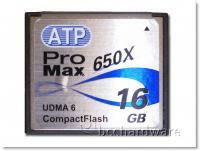 The ATP ProMax II lineup of cards come in 1GB to 8GB but in order to get the 650X version, you'll have to grab the 16GB version. The 1GB to 8GB version are 300X card rated at up to 45MB/sec. The 16GB version theoretically more than doubles that performance.